Dental technology has more to offer now. From air abrasion, CEREC, laser dentistry down to digital dental radiography. All these advanced and newly developed dental treatments and devices do nothing but improve your dental health. The primary purpose of these treatments is to treat patients with zero discomfort and inconvenience in just a single visit. One of the things you can discover from dentistry is the way dental x-rays evolved. From traditional x-rays, modern dentistry offers now the digital dental radiography, also known as digital x-rays. Digital dental radiography is developed for safety reasons. Traditional dental x-rays are known harmful to some patients despite the low amounts of radiation and precautions done against exposures. Experts said this is due to the wait time to develop the film and issues related to environment. Luckily, digital dental radiography is now here. Digital dental radiography is considered as the safest way to monitor your oral health. Although this innovative device still involves a film, your dentist uses a sensor that is connected to a computer. Therefore, once the film photographs your teeth, it will immediately appear on the screen. This makes your dentist get a good view on your teeth. Digital dental x-rays can be used in two ways. This can be taken via intraoral or extraoral. Intraoral x-rays are used to spot and detect cavities. Dentists also use this to check or monitor your developed teeth or bone health. There are different types of intraoral x-rays. The most common is the bitewing x-rays. This requires the patient to bite down the film to make your dentist see the details of your upper and lower teeth in one area. Bitewing x-rays are really efficient in detecting hidden cavities. It is also used in determining changes in your bone density. Dentists also use this if you wear dental crowns or any restorations and identify if it fits. Another type of intraoral x-ray is the Periapical (limited) x-rays. This shows the details of your whole tooth – from its crown down to its root tips. Most cases, dentists use periapical (limited) x-rays in determining problems that involved root and bone structures as well as treating advanced gum disease (periodontitis) and dental abscess. On the flip side, extraoral x-rays of digital dental radiographs are used to detect impacted teeth. This is also used in monitoring your jaw development or growth and detects problems related to your facial bones, jaws and teeth. Just like intraoral x-rays, extraoral x-rays come with different types. These are Multi-slice Computed Tomography (MCT), Cephalometric Projections, Sialography and Cone Beam Computerized Tomography (CBCT) and Panoramic X-rays. Multi-slice computed tomography examines the hidden layers of your mouth while cephalometric projections show the entire head of the patient and allows dentist to examine your teeth and jaw. This is pretty sensible if your dentist desires to align or straighten your teeth. Sialography x-ray, contrary, is used to identify salivary gland problems. Moreover, the cone beam computerized tomography shows the interior structures of your body in three-dimensional image. This detects any facial bone problems, like fractures and evaluates bone for dental implant procedures. Last extraoral x-ray type is the panoramic x-rays. 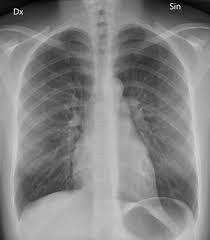 This is also called as panorex x-rays. It is used to generate treatment plans for dental implants, jaw problems and impacted wisdom teeth. Why consider Digital Dental Radiography? The perks associated with digital dental x-rays are unimaginable. It can detect even the smallest tooth decay as well as the hidden areas where bone infections, gum disease and dental abscess emerge. Digital dental x-ray is also convenient in viewing the images of your teeth via computer screen. This promotes no discomfort and is cost-effective compared to conventional dental x-rays as it can be finished in a short amount of time. Digital dental radiography is also favorable for early detection of illnesses. It is safe to use and doesn’t produce high levels of radiation. Digital dental radiography is really helpful in treating dental patients. Since this equipment follows with ALARA or As Low As Reasonably Achievable principle, you can ensure that this technology promotes radiation safety. Digital dental x-rays are also convenient in transferring or sending the images to patients’ records and to insurance companies. Thus, you can enjoy fast reimbursements of insurances. The superior truths displayed above are just among the things you can enjoy from digital dental radiography. To learn more, consult a dentist today or check out this site.